On 2nd September 2015 the Austrian Meteorological Society celebrated 150 years of existence, being the third oldest meteorological society in the world. 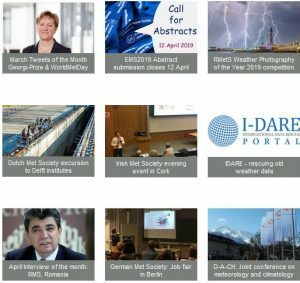 The celebrations under the title “A total of 425 Years of Weather Celebration” were held in the frame of the International Conference on Alpine Meteorology in Innsbruck ICAM2015, Austria. 425 years of weather celebration: also the 150-year anniversary of the Austrian weather map and the 125-year anniversary of the Institute of Meteorology and Geophysics of the University Innsbruck were commemorated. In a video message Michel Jarraud, Secretary General of WMO, congratulated to the remarkable long history of meteorology in Austria and the excellent cooperation between weather service and academic world shown in 150 years. Michael Staudinger, Director of the Austrian Weather Service, Zentralanstalt für Meteorologie und Geodynamik (ZAMG), gave inside of the beginning of weather maps in Austria and in Europe in the second half of the 19th century. Peter Lynch from the University College in Dublin, former Assistant Director of MetEireann and awardee of the Silver Medal of EMS in 2014, gave an interesting overview of the development of Numerical Weather Prediction since the times of first synoptical weather maps. 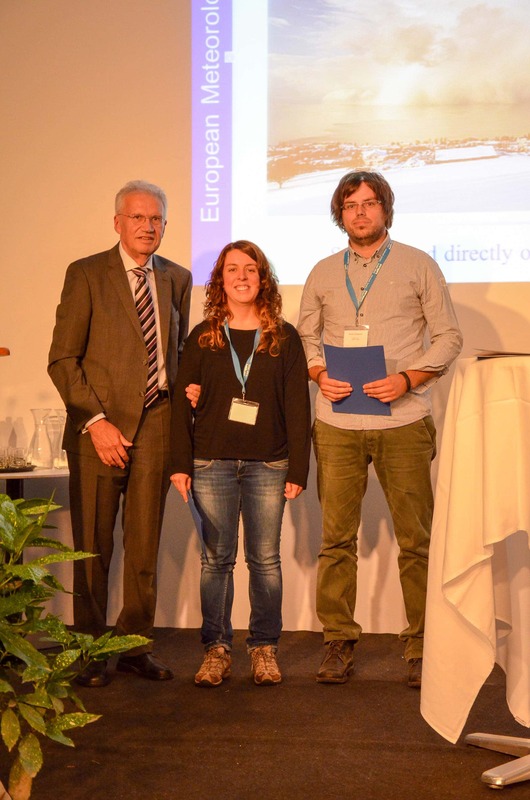 The EMS President Horst Böttger gave a short lecture about “The role of Meteorological Societies – a European Perspective” and handed over EMS Young Scientist Travel Awards to Mireia Udina, University of Barcelona, and to Goran Gasparac, University of Zagreb, supporting their participation in the ICAM2015-Conference. Fritz Neuwirth, Chairman of the Austrian Meteorological Society, reported about the achievements and special events in the 150 years of the history of ÖGM. The head of the Institute of Meteorology and Geophysics from the University of Innsbruck guided through the 125 years of the Institute. He announced that the name of the institute after 125 years has changed now to Institute of Atmospheric and Cryospheric Sciences. Finally the chairman of ÖMG handed over the most prestigeous ÖGM award – the Golden Hann Medal – to Michael Kuhn, professor emeritus of the Institute for Meteorology and Geophysics of the University of Innsbruck and former Secretary General of IAMAS (International Association of Meteorology and Atmospheric Sciences), for his outstanding contributions to meteorology, climatology and glaciology. The laudation was held by Hans Volkert from the Institute of Atmospheric Sciences of Deutsches Zentrum für Luft- und Raumfahrt DLR, Germany.